Mark is a licensed funeral attendant and is the third member of the Hutchins Family to own a funeral home in Portland. Mark was born and raised in Portland, where he was a graduate of Portland High School. He holds a degree in accounting from USM. 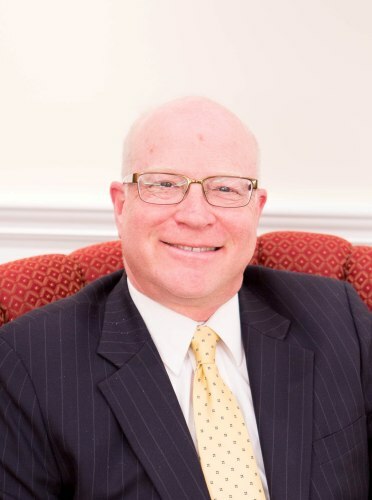 During his time away from funeral service, Mark worked in the finance and accounting field for the City of Portland, Fairchild, Blue Cross and Blue Shield of Maine, the Sevigney Group, InterMed and Martin’s Point Healthcare. Mark has always been committed to the community that he grew up in. In the past, he was involved with two little leagues in Portland as a coach and President. Mark was a treasurer of the City of Portland’s Youth Sports Exchange. He served on the United Way Finance Committee and the St. Pius X Parish Council. He also served on the Friends of Evergreen Board, at one point being its treasurer. Mark is the current Board Chair for the Maine Irish Heritage Center. He is also a member of the Finance Council at St. Peter’s Catholic Church in Portland, where he is a Eucharistic Minister. Mark is currently a member of the Cluster Pastoral Council of the Portland Peninsula & Island Parishes, along with being a 3rd degree member of the Knights of Columbus Council #101 in Portland. Roberta grew up in South Portland, graduating from South Portland High School and earned a bachelor's degree in business administration from the former Westbrook College. She is actively involved in the business as a licensed funeral attendant. Roberta also works at Hannaford’s Corporate Office as a Pricing Analyst. Mark and Roberta are both members of the Italian Heritage Center and the Irish American Club of Maine. They currently reside in Scarborough. Julie Ann became interested in funeral service after attending her first funeral when she was 9 years old. She remembers telling her parents, "I'm going to be a funeral director and be nice to people". Years later, still feeling passionate about the business, Julie Ann started working calling hours and funerals while in high school. Julie Ann joined the staff at A.T. Hutchins full time in 2012. 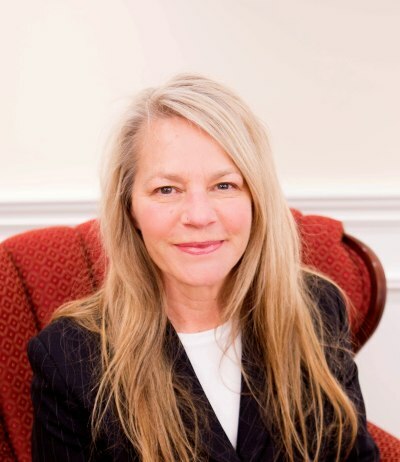 With her work experience in Boston, Washington, DC and the Greater Portland area; she brings over thirty years of experience in funeral service to the funeral home. Julie Ann is currently the General Manager of the funeral home. Since 1992, Julie Ann has been an active supporter at the Center for Grieving Children; serving as a former greeter, facilitator & Board member. She is also a volunteer at the Preble Street Resource Center. Julie Ann is an active member of the Italian Heritage Center, the Maine Irish Heritage Center and a member of The Junior League of Portland, serving on the New Member Committee. She lives in Freeport with her partner Jeff Rose. Jeffrey was born in Biddeford, Maine and graduated from Old Orchard Beach High School in 2001. After High School, he received his associate’s degree in criminal justice and worked in the healthcare and corrections fields. In 2010, Jeffrey decided to go back to school and enrolled at the Pittsburgh Institute of Mortuary Science, where he graduated with honors. He has worked at funeral homes in Portland, Boston and Dover N.H. 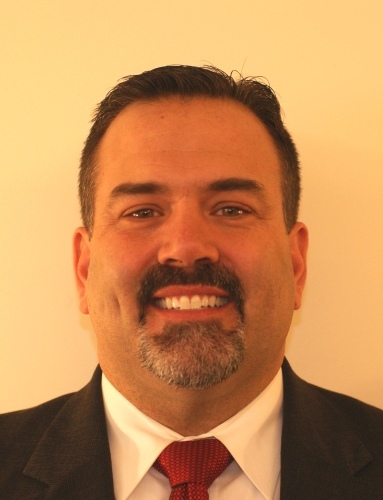 He is currently a licensed Funeral Director in both Maine and New Hampshire. Jeffrey has a strong interest in history and is currently a member of the Biddeford Historic Preservation Commission. He is also a fourth degree Knight in the Knights of Columbus, Council #12941. He resides in Biddeford with his wife Emily and their Dog Lou Lou. A New Hampshire native, Michael was a 1993 graduate of Somersworth High School and a 1996 graduate of Mount Ida College in Newton, MA receiving a degree in Mortuary Science. 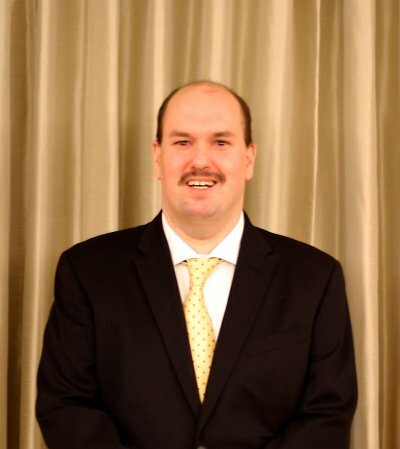 Michael joined our staff at A.T. Hutchins with over 20 years of experience as a licensed Funeral Director. Prior to his employment with us, he served families on the seacoast of New Hampshire for 10 years before moving to Maine serving first in Washington County, then in the Sebago Lake Area. Michael has been active in Maine Special Olympics including the Lobster Dip at Old Orchard Beach for the past 9 years. Michael is also a member of the Southern Maine Portland Harley Owners Group participating in many local rides for charities including U.S. Veterans, the Muscular Dystrophy Association and Toys for Tots. He enjoys time on his motorcycle. Michael resides in Windham with his wife, Tori and their furry friends, Chinook and Marley. Mike graduated from Deering High School in 1986. Prior to his career in funeral service, Mike reached the level of journeyman bricklayer with Local 2 of the Bricklayer’s and Allied Craftsman union. In 1991 Mike took a job at the former JJ Nissen bakery in Portland, where he spent the next 19 years. Mike began working in the business, after his family purchased the former Independent Death Care of Maine in 2010 and opened the new funeral home on Brighton Ave.
Mike is a licensed funeral attendant. He fills many roles at the funeral home from assisting with funerals and visiting hours, to handling administrative and maintenance duties. Mike lives in Portland with his children, Nicholas, Eleanor and Nathan. Rocco was born and brought up in Portland, growing up on Munjoy Hill. He is a graduate of Portland High School, Class of 1978. Rocco worked in the construction industry for the Teamsters, Boilermakers and Ironworkers Union, Local 496. He has also been a seasonal worker for the City of Portland's Riverside Golf Course. Rocco lives in Portland, with his wife Mary, where they raised their two sons Rocco IV and Anthony. They are also proud grandparents to two grandsons, Enzo and Nico. Eric is a lifelong Mainer who was born in Portland and grew up in Westbrook. Eric attended the Governor Baxter School for the Deaf and graduated Westbrook High School. He worked as a volunteer firefighter with the Standish Fire Department. Eric has strong family roots in firefighting and emergency medical services. He is now a licensed Funeral Attendant and would like to advance his career with A.T. Hutchins. Eric enjoys snowmobiling, swimming and traveling, always looking forward to the next adventure.